“Since the 1950s books have flowed from the pen of a psychiatrist, Dr. Immanuel Velikovsky, who was born in Russia, trained in Israel and has spent much of his life in America. 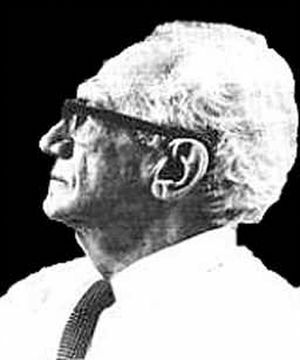 Velikovsky’s first offering, entitled Worlds in Collision, was in some respects similar to Whiston’s inasmuch as it confused planets with comets. It was widely publicized, and started a curious cult which still persists. “To Velikovsky, the time-scale of the universe is measured in thousands of years rather than in millions. He explains how the giant planet Jupiter suffered a tremendous outburst, and shot out a comet which later became the planet Venus. In 2500 B.C. the comet Venus bypassed the Earth; this was the time of the Israelite Exodus led by Moses, and the Earth’s rotation was slowed down, drying up the Red Sea at a convenient moment for the Israelites to cross. Tremendous upheavals followed; petrol rained down, so that our modern fuel represents ‘remnants of the intruding star which poured forth fire and sticky vapour’. Two months later, after the Earth had started spinning again, the comet Venus returned for a second visit, producing the thunder and lightning noted at the time of the sermon on Mount Sinai. Other encounters followed, one of which caused the tremors which shook down the walls of Jericho, but then the comet collided with Mars and lost its tail, so turning into the modern planet Venus. Meanwhile Mars itself moved closer to the Earth, and almost hit us in 687 B.C. … Velikovsky gives instance after instance, all ‘supported’ by quotations from the Bible which are, incidentally, quite correct! “Coming to Velikovsky’s predictions, Moore himself is entirely predictable, his basic position being that “anyone who makes enough forecasts will be bound to make some correct statements eventually”. The list of Velikovsky’s incorrect predictions reminds me irresistibly of Senator McCarthy’s list of communists in the State Department: it is perpetually referred to but never materialises. Moore duly fails to produce such a list, but makes two specific points: (a) on the claim of hydrocarbons in the atmosphere of Venus he states that the evidence shows “a total lack of anything of the sort” and (b) on the claim that argon and neon are substantial components of the Martian atmosphere – “it has turned out to be almost pure Carbon Dioxide”. As to the former, (a typical gross misrepresentation of the present inconclusive evidence) we will defer further comment until the findings of the latest Russian Venera probe are published. On the latter the new evidence of the Mars 6 spaceprobe supports Velikovsky’s claim, not Moore’s. “Finally, Patrick Moore provides a fine example of the disingenuousness so prevalent amongst Velikovsky’s critics. In order to explain away Velikovsky’s prediction of a “hot” Venus, Moore informs us that “since Venus is, on average, 26 million miles closer to the sun than we are, and has a dense atmosphere which acts in the manner of a greenhouse, this perhaps was a safe prediction”. Writing in 1961 (11 years after “Worlds in Collision” appeared), Moore was not so percipient. In “Astronomy” (Oldbourne Press, 1961) he failed to make this deduction and stated: “… the dust desert idea still has its supporters, more likely however is the suggestion by Whipple and Menzel that the clouds consist of H2O and that Venus is largely covered with water.”Brian Moore, “Sages in Chaos”, SIS Review Vol 1 No 2 (Spring 1976), page 18. 13. ↑ Brian Moore, “Sages in Chaos”, SIS Review Vol 1 No 2 (Spring 1976), page 18.